Authentic Gaming has made a significant step in the development of it’s live roulette solutions. Traditionally offering Land Based streamed solutions, they’ve taken an extra step and produced the first Authentic Studio Live Roulette solution. The dealer led Auto wheel Blaze Roulette table has had the wheel replaced with a normal one. 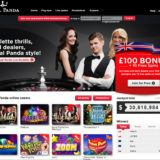 The dealer now has full control over the wheel and game, which is streamed from their Studio Environment in Malta, that opened in July 2018. 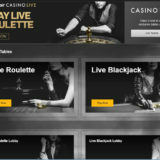 Premium live casino provider, Authentic Gaming, has overhauled its recently-launched Blaze Roulette format, changing it from an auto roulette game to a live studio game. 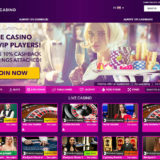 The revamp marks the first time that Authentic Gaming has launched a studio-based live roulette product as the supplier looks to grow its share of the lucrative live casino market. Blaze Roulette 2.0 is set against a glitzy game-show backdrop. The game table is lit with LED lights and a giant video wall completes the showbiz theme. A dedicated team of seasoned presenters deliver a unique and engaging player experience. The game is now played on a single zero TCS Huxley roulette wheel with innovative laser sensors offering superior security. The footage is capture from several angles on five cameras and is broadcast in high definition. Blaze 2.0 is streamed from Authentic Gaming’s new state-of-the-art Arena Studio which is located in Malta. Arena is dedicated to delivering the most exhilarating Live Auto Roulette experience to operators and players in regulated markets around the world. “This is our first studio-based live dealer game, so it was imperative that the quality of the product, technology and execution were second to none.